Home Vintage Cast Iron Cookware Wapak Hollow Ware Co. Find out more about Wapak cast iron. Vintage cast iron. Wapak Hollow Ware Co.
For those collecting vintage or antique cast iron, Wapak Hollow Ware Co, or more simply Wapak cast-iron is a familiar name in the community since they many of their cast-iron cookware have silky smooth cooking surfaces. In fact Wapak cast iron is very collectible and can command high prices for cast-iron with ornate or rare logos, such as the chicken foot or Indian Head. Wapak cast iron may have ghost marks from other manufactures. It is not uncommon to see Wagner and also the lead manufacturer during the time Griswold ghost marks on Wapak cast-iron cookware. Rare logos and manufacturing flaws can make collecting and searching for rare pieces from Wapak a lot of fun. Wapak skillets and pots will be lighter and smoother than most cast iron made today. Wapak cast iron, like other vintage iron cookware made during the time, tends to be lighter. This is due to the manufacturer making cookware thinner than it is today. 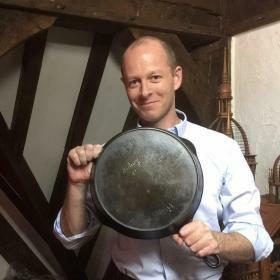 If you think cast-iron is heavy then a vintage/antique skillet could be right for you. Although Wapak may not be a household name, they made fantastic glassy smooth cast-iron cookware. Antique cast-iron has become increasingly sort after. History of Wapak Hollow Ware Co. There is little published on the Wapak Hollow Ware Co. However as the name may suggest, the foundry was located in Wapakoneta Ohio on Krein and Willipie streets. 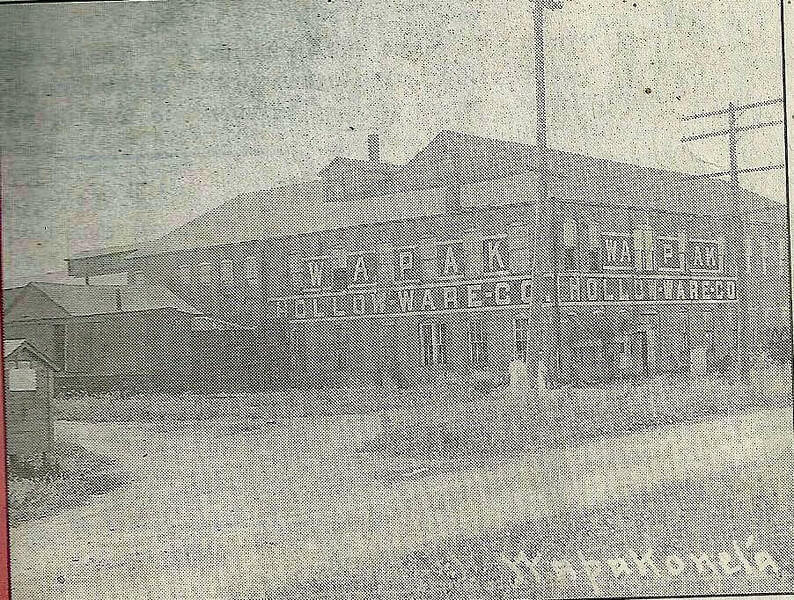 Wapak Hollow Ware Co established in 1903. and had multiple founders. The company had starting assets of approximately $20,000 of which most came from machinery and fixtures totaling $18,383.07 Dodds, D. Knipp, Downtown Wapakoneta Partnership (2010) Wapakoneta (Images of America) Arcadia Publishing page 58. They also manufactured a wide range of cast iron kitchenware which included: skillets, kettles, bean pots and stoves. However like many foundries during the time, Wapak cast more than just kitchenware. Wapak made a lot of irons . These irons made during the time are commonly known as “sad irons”. Wapak Hollow Ware Company continued to make cast-iron products until the closure due to bankruptcy in 1926. Two employees of the bankrupt Wapak may had started their own company called Ahrens and Arnold but sadly Wapak Hollow Ware did not restructure after filling from bankruptcy. Collecting Wapak cast iron skillets and kettles. I have only one piece so I certainly can not call myself an authority on collecting Wapak cast iron. However the skillet I have, has an ultra smooth cooking surface which is just as smooth as my Griswold’s and Sidney Hollow Ware skillets. The Wapak skillet has the “Z” logo clearly stamped into the iron. It also has a heat-ring around the outside. If you collect or search for Wapak cast iron, you may notice more casting flaws than other manufactures during the time. 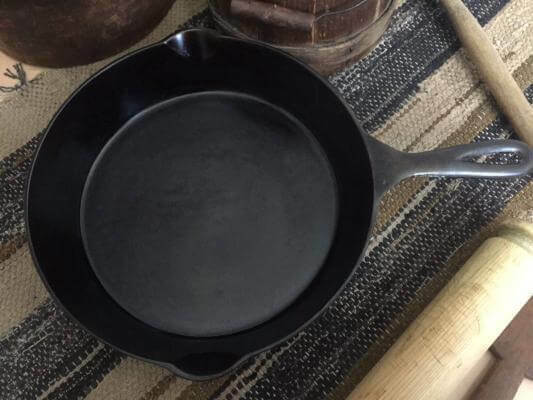 It’s not uncommon for Wapak skillets or kettles to have casting bubbles or the base of the cookware with a noticeable ripple of unevenly cast iron. For some it’s an obvious flaw while for others it adds to the charm and characteristic of yesteryear pans. 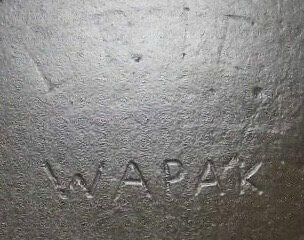 Wapak Markings. Does your pan have a lighter embossed mark? Other than the Wapak markings or logo, you may clearly see another mark on the base of the cast iron. Commonly referred to as a ghost mark. A ghost mark is a another manufactures logo or wording on the base of the skillet or other cookware. It is not uncommon to see “Erie” lightly embossed on Wapak skillets. To have a ghost mark on a skillet means that Wapak might have done one of two things. Wapak may have bought and used old molds from other foundries. 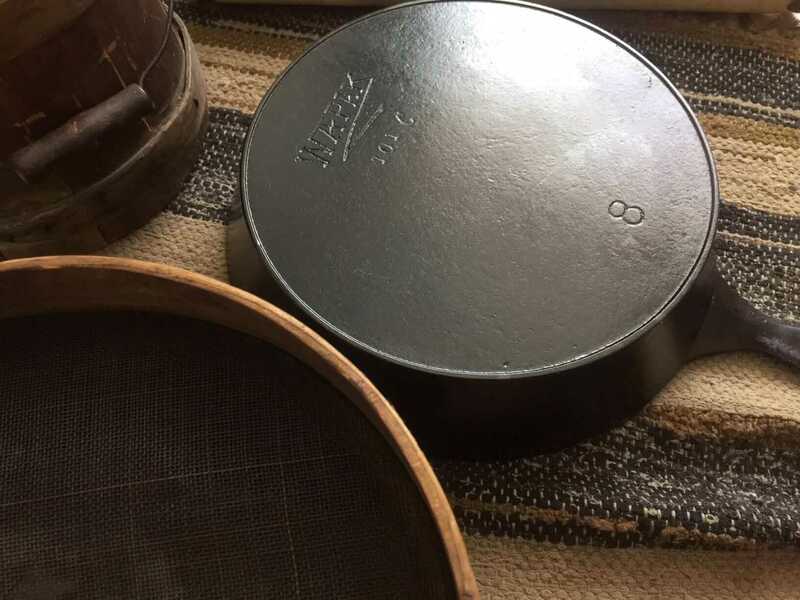 Wapak may have used other manufactures pans and used them as a template to make their own pans. A very questionable practice in todays business world however copying other companies ideas or design is sadly still evident today. If Wapak Hollow Ware did copy a leading manufacture at the time it’s surprising they didn’t try to cover up their efforts better. It may be the case that Erie skillets were so good that Wapak didn’t mind letting consumers at the time seeing the word Erie or Wagner on their cast iron. 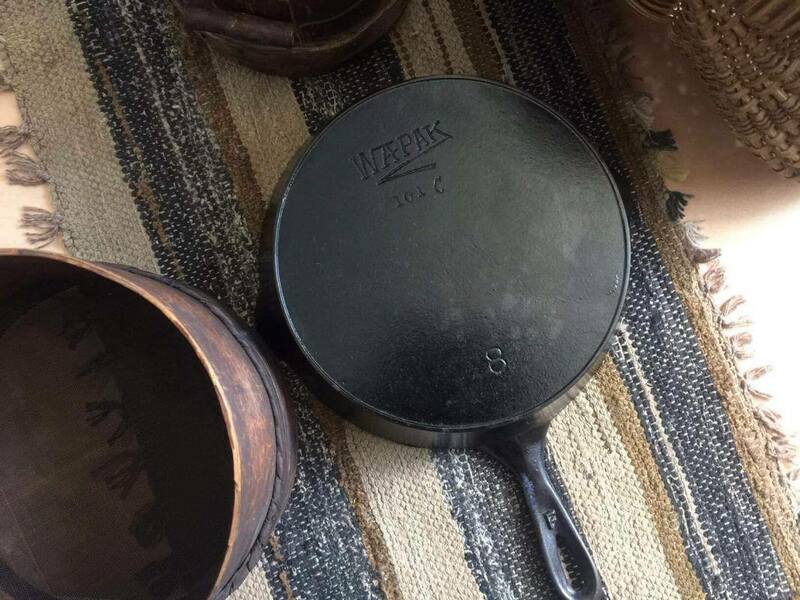 One thing is certain, those Wapak skillets with Erie markings are very collectable. Have a close look if you find Wapak cast iron at an estate or garage sale. Wapak Hollow Ware Co. logos and markings. Wapak cast iron have a variety of different logos or markings which can indicate age and rarity. Currently, there are seven variations of the logo. Of the seven logos six use Wapak. The seventh logo is Oneta. Oneta was at the time a lower grade or budget friendly brand. The most collectable and valuable of antique is the “Indian medallion”, “Native American” or “Indian head” An amazing detailed logo. However expect to pay a pretty penny if you come across one. Wapak Chicken Foot logo. Credit of the original full sized photo goes to eBay member jeansplace2016. The logo has “Wapak” in block lettering which is slightly arching. The Logo is in block lettering and straight and in the centre. Interesting logo with characteristic styling. The most notable feature is the Z appearance of the Logo. The logo is tapers inward. The Wapak wording is bigger at the start with W being notably in larger font and tapering inward and finishing with K which is notably a smaller than the first letter. The word Oneta is straight in block writing. Considerations of Collecting Wapak cast-iron. Wapak tends to have more cast or molding flaws which can add to the characteristic, however for many it detracts the desirability. Wapak cast iron can have very smooth cooking surfaces. Ghost marks are common in Wapak Hollow Ware cast iron. Check the base for “Wagner” and also “Erie” lightly embossed on the iron. Like much of vintage or antique cast iron it maybe important to check or ask how stable the iron sits on a flat surface. Does it rock or spin? Not like, say cast iron, which when not sitting flat is unusable, far from it. However it does affect the value of vintage cast-iron. Although Wapak cast iron can be super smooth. Signs indicate Wapak foundry used Erie and Wagner cast iron templates or molds to make their cookware. Why did they use other fountries molds or pans as a template? Surely Wapak were very skilled at making iron cookware because they had one of the most detailed logos on vintage cast iron, the “Indian head”. Wapak skillets can be just as finely made as the more well known Wagner or Griswold cookware. Vintage Wapak cast iron goes under the radar like Favorite Piqua Ware and Sidney Hollow Ware. 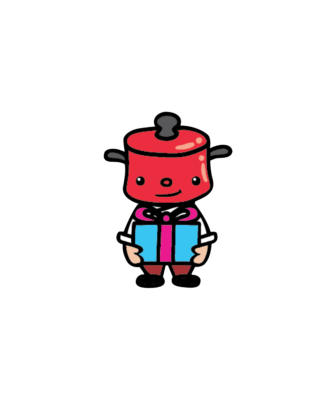 Wapak cast iron cookware may have more casting flaws, you might be able to pick up a Wapak for a better price than a Griswold or Wagner Ware. Keep an eye out for host marks and also those fancy “Indian heads pieces”. They sure are good looking pans. Previous articleVintage cast iron. How to identify Sidney Hollowware cast iron. Next articleFavorite Piqua Ware: Favorite Stove and Range Co. vintage cast iron.